Late last year, Canadian Cyclist was invited to attend a factory tour in Taiwan, hosted by Taitra, the Taiwan External Trade Development Council. Taitra administers the Taipei Cycle show, the third largest bike industry show in the world (after Eurobike and Interbike), and the largest for manufacturers (Eurobike and Interbike are mainly for retailers). The 18 media from from 15 countries in North and South America, Europe and Asia had a unique opportunity to visit some of the companies and meet with individuals who design and manufacture many (if not most) of the bicycles, parts and accessories that you ride. Below, we have links to articles and photos from the factories visited, but first an overview of how important Taiwan is in the bicycle industry. The Taiwanese bike industry has been making an interesting transition over the past 20 years, moving from a low cost, low technology producer to the number one manufacturer of carbon fibre composite bicycles in the world. It used to be that North American, European and Japanese designers would come to Taiwan with the designs and innovations, just using Taiwan for the lower cost manufacturing. Taiwan has moved from being an OEM (Original Equipment Manufacturer, producing other companies' products for them) to OBM (Own Brand Manufacturer) and, most recently, to ODM - Original Design and Manufacturer. This latter category means that not only are they making products under both their own names and those of clients, but they are now, in many cases, designing those products. 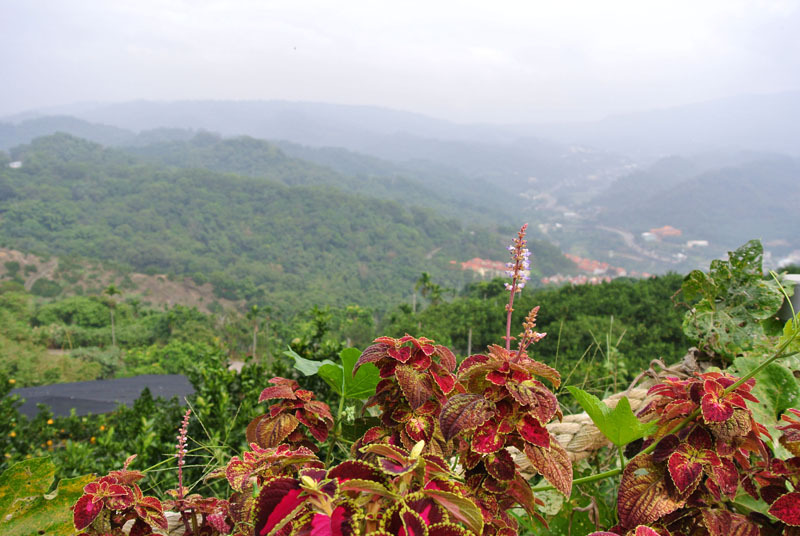 The transition is a textbook example of an economy and society transforming itself - when I first visited Taiwan some 20 years ago, the levels of pollution and safety standards were certainly subpar to those which we would expect to see in North America or Europe. In the cities, much of that was undoubtedly due to the incredible number of two stroke scooters used for daily transportation. I've visited Taiwan a number of times since my first visit, but the last time prior to this trip was six years ago, so the changes were more apparent: A vast reduction in the number of scooters and a requisite increase in automobiles; in Taipei the completion of a subway system; less pollution; and clearly (to my eyes) an increase in the standard of living. Specific to cycling (and in a number of ways related to the above changes) there have also been some social changes. On one of my earlier visits to the heart of the cycling industry in the city of Taichung, I was introduced to their first ever bike path, which was approximately six kilometres long. Contrast that to this trip, when we took a 12.5 kilometre ride on a superb bike path that is part of an estimated 300 kilometre network of bike paths in the region. 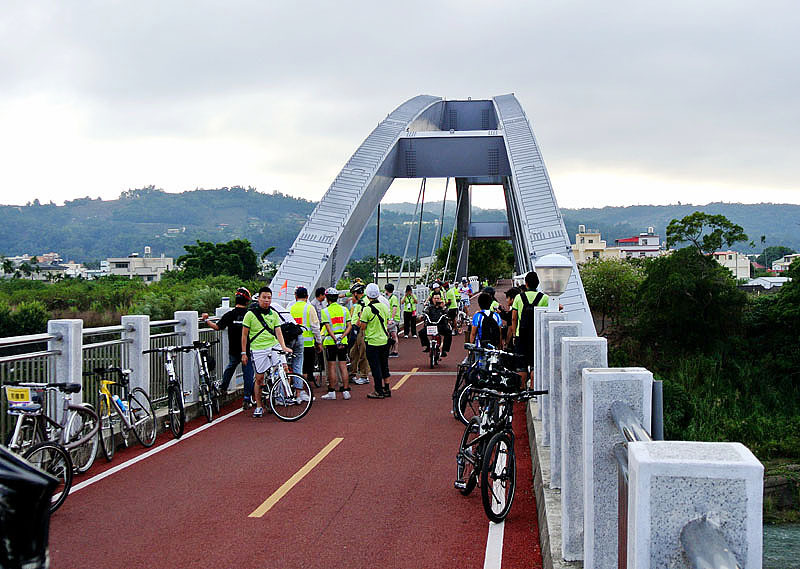 In the Taichung area, an estimated $170 million (US) is being invested in cycling infrastructure. The local Tour de Taiwan stage race (to be held March 10-16) is to be upgraded to a UCI 2.1 ranking in 2012, and has been attracting foreign pro teams over the past few years. Cycling has also become a recreational activity and the local market has increased markedly; cycling in Taiwan is not just an export industry. The other significant shift is the market the Taiwanese bike industry now serves. According to Tony Lo, CEO of Giant Bicycles and Chairman of the Taiwan Bicycle Exporters Association, almost all the bicycles produced by their members are for the IBD (Independent Bicycle Dealer) market, and almost none go to the Mass market. "We are moving more and more to high value [bikes]," said Mr Lo. For 2011, Mr Lo said that the Association was forecasting bicycle sales of $1.65 billion (US), a 10% increase from the previous year - and keep in mind that this is wholesale (FOB Taiwan), meaning that we are looking at an estimated $3 billion at retail. It should be noted that these are just bicycles manufactured and exported from Taiwan; if we include the value of products made at Taiwanese offshore factories in mainland China and other locations, the numbers are significantly higher for Taiwanese-based companies - Giant alone produced over five million bikes in 2010, and had revenues of over $1.4 billion (US). 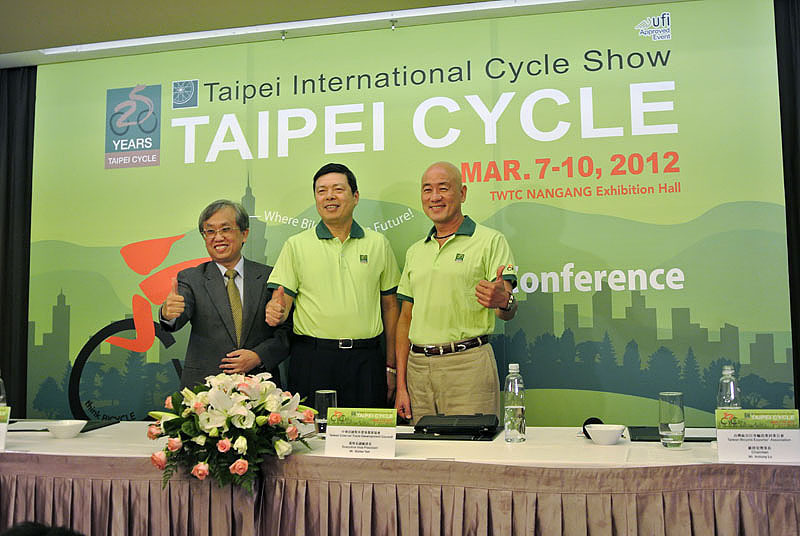 We wish to thank Taitra and the Taiwanese bike companies that opened there doors to us for making this report possible.